Valencia is a great vacation city due to its many prominent tourist spots, exotic Mediterranean beaches, and amazing unbridled nature. This city’s beaches are never crowded, making it a perfect spot for a proper sea, sun, and sand holiday. The city is believed to host the holy grail, which brings many Christian devotees on a quest of pilgrimage. 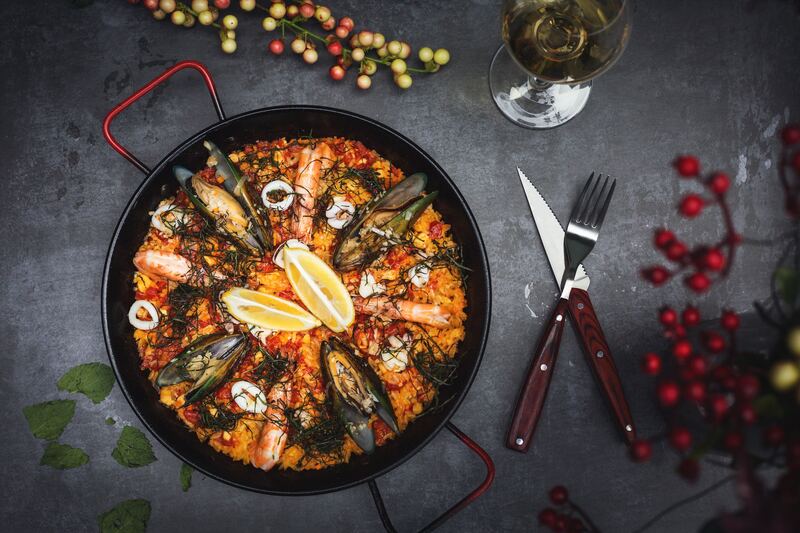 It is also known to be the origin of many Spanish dishes, such as the famous paella. For those planning their epic stag do weekend escapade, there are many activities you can indulge in. Paintball matches, bubble football, and karting, for example, are all a good way to have fun with your friends as you try out various local dishes to lift up your moods. You can also go on a bike tour with your friends as you learn more about the city’s history with some intense pedal action. And for those who prefer clubbing, Valencia has enough bustling trendy clubs to accommodate all your nightlife tastes and preferences. This is one of Valencia’s best nightclubs suited for bachelors to end their final single days with style. It is located by the beach outside the city, which means it is away from the urban noise. And this club has enough room to accommodate up to 2000 people within its four partitions! Different types of music fill the air with the highly qualified DJs making great music selections. Going on a cruise. Since this city is placed along the beautiful Mediterranean shoreline, going a cruise can be a fun and fulfilling adventurous activity. Joining the Falles festival. This festival is one of the most decorated events in this city. It is a traditional commemoration of St. Joseph that was added in UNESCO’s intangible cultural heritage of humanity list. Mingling with local people in hip bars and pubs as you experience the city’s unique culture. Drink tasting. Valencia has many assortments of drinks ranging from beer to wine that you can sample. They also have their unique drink called horchata which is made using local raw products. This city in Spain has numerous sights for you to set your eyes and camera lens on. You can start by going to different shares like the “queens” square which is beautifully maintained and well fitted with useful amenities like top-notch hotels and restaurants. You can also visit the glorious St. Mary’s Cathedral which has a tower that allows you to view the cityscape. Alternatively, you can opt to see the part of the city dedicated to arts and sciences which is a group of refurbished local buildings designed by local architects and artists. This iconic scene consists of 6 buildings that all have unique designs with one of them resembling the human eye. Valencia is an amazing city with many interesting prospects that should be found on your itinerary. Though its resorts usually are fully booked during the holidays, you can still find many other quaint accommodations downtown, which offer fun activity options and guided tours. Whether you come here for the daytime leisure or the nighttime party bustle, Valencia has got you covered. Book your plane tickets and discover why this city is regarded as one of the best party capitals of Europe!